“My goal is to attend IU Medical School and serve my time in the Army as a doctor,” he says. The cadet also has garnered plenty of military knowledge through his time with the program. Cornwell has taken a ride in a Blackhawk helicopter, shot M16s, and conquered a rappel tower. 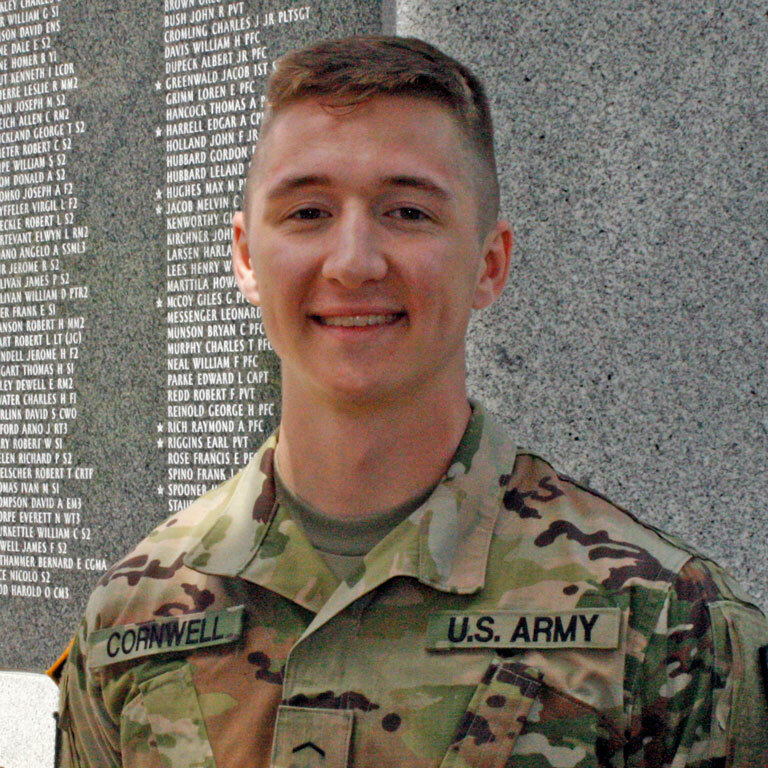 Cornwell owes much of the inspiration around his career path to Jerry Barker, IUPUI’s ROTC recruiting operations officer.